You know you did a right thing by adopting a Pitbull. But now it is time to train a Pitbull so you don’t end up getting hurt. 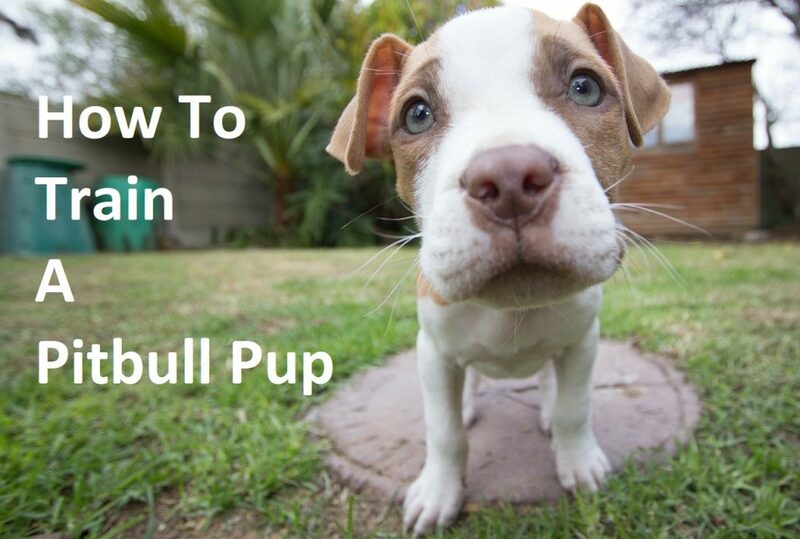 Pitbull training is not an easy task and it starts from the day you adopt a Pitbull. Time to gear up with these handy tips which will make it a tidbit easier for you to train you best friend, your Pitbull. First of all, before getting into the details, it is necessary for you to understand that Pitbull training dog works when you are patient and are consistent with the training. You can’t expect overnight change in your pet’s personality, so keep training and trust that it will bring in the right results! Pitbulls are aggressive by nature, but with right kind of training that can be changed. Make sure you introduce your Pitbull puppy, to dogs of the house, when it is still a puppy. To encourage friendly behavior in your puppy, always give it a treat when it cooperates. Start with the easiest tasks, say for example, by teaching your Pitbull to sit. For that all you have to do is take the treat near its nose and let it sniff it, then gradually take it backward, making it to sit. Once in sitting position, let it enjoy the treat. Gradually start commanding it to sit when giving it a treat. Do not ever play in aggressive manner with your Pitbull puppy. Besides being patient, Pitbull training requires you to be gentle. Don’t play rough or aggressive games when your puppy is young. Rough games tend to develop aggressive nature, and you definitely won’t want it. The key to success is being very loving and extremely calm around your puppy. Although it is natural to loss your calm when the dog doesn’t use the litter box or chew your favorite rugs, but it is not at fault. It doesn’t know what it is doing is considered wrong, so be as patient as a mother to her newborn. Either put its litter box outside when it is a puppy or make sure you take it outside after every couple of hours. Treat your puppy when it poops outside. Do it several times a day so that your buddy learns that whenever it needs eliminating, it needs to go outside! Consider these 5 Pitbull training tips for dummies as the most important questions of the exam because these are the basic ones. If your Pitbull can master these, you will eventually be able to train them without any hassle. Number one on our list are the Chewing sticks that we are sure your Pitbull puppies will love to have. Not only they taste great, your Pitbull will get the healthy teeth and gums. An easier option if you can not train your pup to let you brush its teeth. If you’re not being able to control your Pitbull pup, you should never take it for a walk outside, without a leash. Many a time, we don’t know how to handle our dogs and people or children get injured as a result. Be a responsible pet owner. No going out without a leash/collar. For all those not comfortable with the leash, they can buy PetSafe Yard and Park Remote Trainer. It can control your Pitbull for upto 400 yards, that too without the leash. It is perfect for obedience training and is often found helpful in deterring bad behavior in your dog. These tips and tricks will make your life a bit easier when it comes to training your best buddy. But these 3 ultimate training rules are what you can not skip, if you want to have a healthy and happy trained Pitbull pup. Firstly, you want to train your puppy not punish them. So, if they err, don’t be mad at them. Patience, patience and more patience are what you will need. No dog can be trained well unless you are patient enough to put in your time and efforts in the task. Remember, love is what everyone needs, so don’t abuse or be harsh with your pup. The more you will reward your pup, the quicker it will learn the tricks. If you think training on your own is too daunting, you can always hire a professional trainer but you need to create a strong bond with your Pitbull if you want it properly trained. Remember, positivity brings in more positivity.